Goodbye east of Africa. 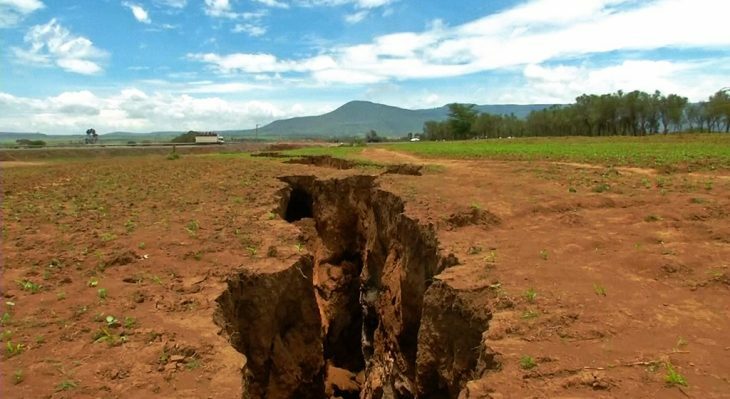 At the last meeting of the United Nations Climate Conference in Montpellier, France, a new warning about the changes suffered by the continent indicates that it will be divided into two parts forming a new one. According to the experts, within the next 50 thousand years the movements of the earth will separate the eastern part of the continent creating another. 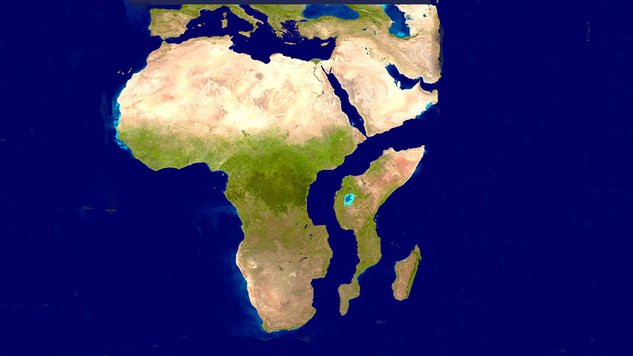 This continent will take the Horn of Africa with it, due to the geological faults. The earth's crust is divided into different sections called tectonic plates. These plates are huge stone crusts on top of the earth. The plates move continuously thanks to the mantle (one of the three largest layers of the earth that is formed by melted semisolid rock of great density), and this changes millimeter by millimeter giving new shape to the face of the planet. To the south of the Red Sea there is a large geological fault called the East African Fault. This failure indicates the changes that are happening in the plates that support the African continent. Until very recently the scientists began to investigate and found that two huge plates are separating several millimeters each year but it is faster than they estimated. This separation is due to a section of the terrestrial mantle that carries heat from the center to the crust. 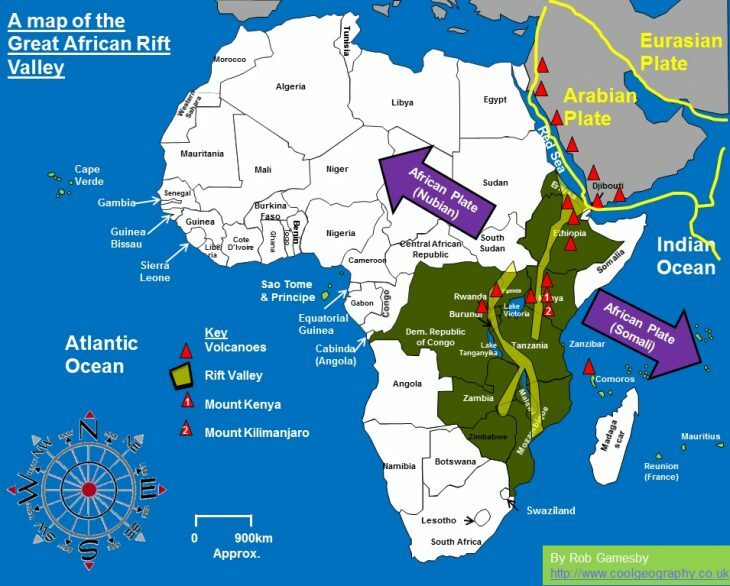 As the fault grows, it will cause the eastern part of Africa to break away from the rest of the plates creating a new plate called the "Somali plate." The Great Rift Valley also plays an important role. The sea will greatly help the process. The "Nubian plate" will take most of the continent and the "Somali plate" will take the Horn of Africa. For its part, the African plate moves 2.15 centimeters a year to the north, which according to experts will end up uniting it with Spain in the next 650 thousand years. According to dr. James Hammond from the Department of Earth Sciences and Engineering at Imperial College London, this will take about 50 thousand years. 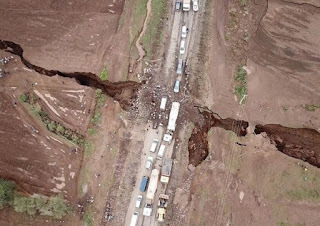 Evidence from geologist Dereje Ayalew and his colleagues at Addis Ababa University point out that the ocean that will separate the two sections is already forming. 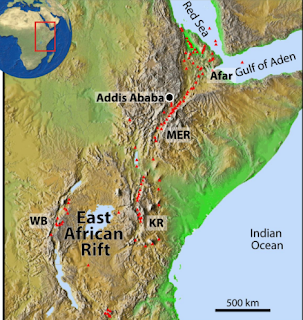 In 2005, geologists described how the desert in Ethiopia is opening to the sea. In the northeast triangle of Afar, which crosses Ethiopia, Eritrea and Djibouti, hundreds of cracks are opening up in the desert floor and are so wide that they can measure up to 100 meters. The image above corresponds to a huge fracture that opened on March 18 in Kenya, splitting an important road in the middle. The new continent will be taken to Somalia, Ethiopia, Kenya and Tanzania. According to the evidence, all this is happening much faster than expected according to the New Mexico Institute of Mining and Technology. According to the rapidity with which the mountain belts are formed when the tectonic plates collide, and the data that they have of how the continents form, they believe that the movement of the plates has accelerated. Apparently the movement has doubled in speed in the last 2 billion years. What is batching and what is the difference between weight batching and volume batching of concrete?